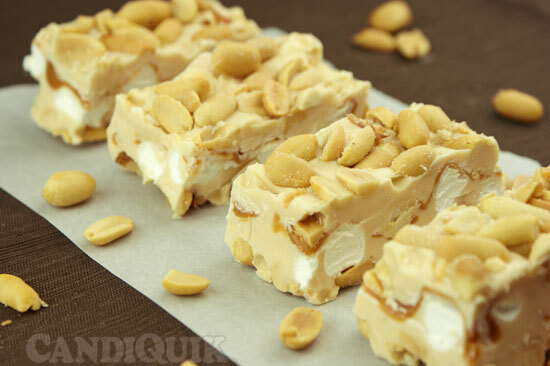 Is it a gooey Snickers bar, or how about a creamy, salty Payday? Maybe you’re a good ‘ol Three Musketeers kinda person? 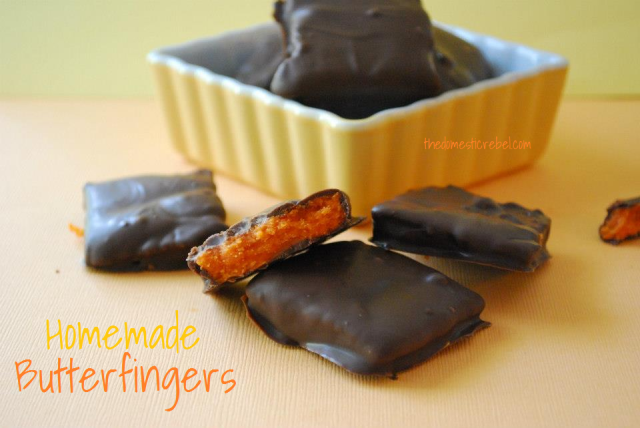 Butterfinger?! Well, Hayley (from The Domestic Rebel blog) and I have you covered with all of those and many, many more. 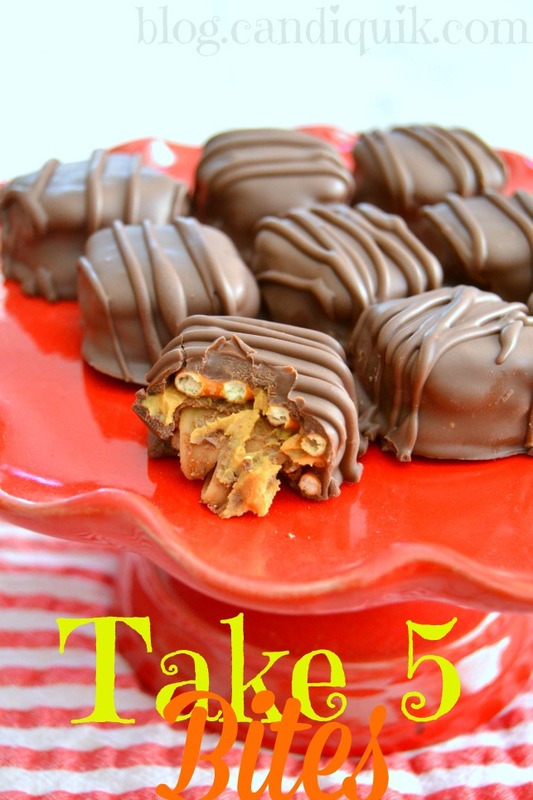 Plus, a couple spinoffs of traditional candy bars. 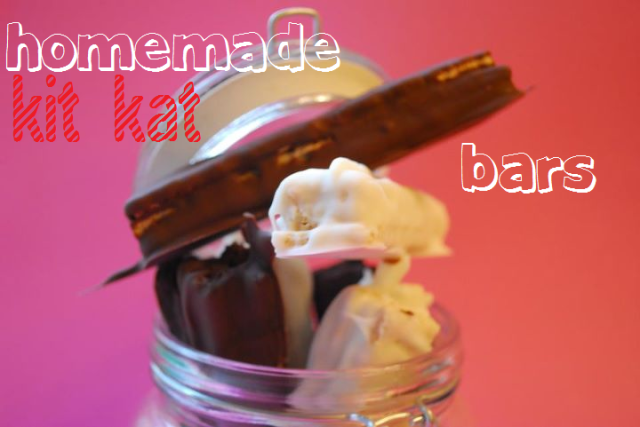 Can anyone say, Biscoff Kit Kat Bars?! True stuff…keep reading. cop·y·cat. n. One that closely imitates or mimics another. Usually you don’t want to be thought of as someone who is a copycat. The only memories I have of copycatting is from grade school…when you catch someone looking at your paper…we’ve all probably been there. 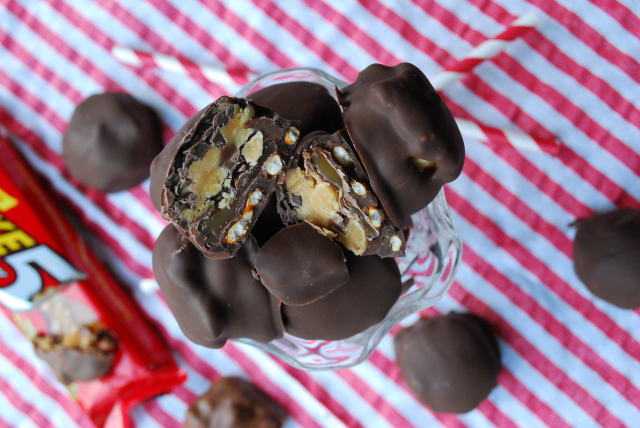 Well folks, here it’s a good thing, when you’re copying popular candy bar recipes, turning them into a homemade concauction, and totally rocking anyone’s world who indulges in them. 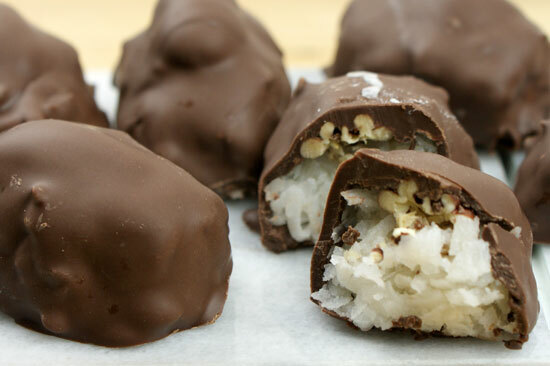 Not to mention, topping the actual candy bar; these recipes definitely beat out the little piece of candy that you find in the aisle of any grocery store, gas station, or your kids’ leftover Halloween candy bag. Be sure to swing by and say hello to Hayley at The Domestic Rebel - she’s the other brilliant mind behind these recipes. Click on the pictures or the title for the direct link to the recipes! I don’t like Paydays or salted nut rolls, (I know, I know) – but I DO like these. What does that say!? 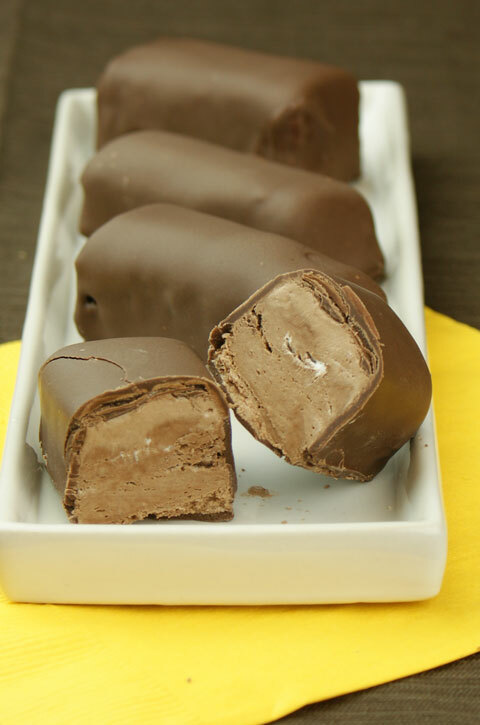 Welcome to a chocolatey-creamy-marshmallow heaven, with only 2 ingredients! Prepare an 8×8″ pan by lining with aluminum foil and coating with nonstick spray. Melt 1 package of Candiquik in tray, as directed on package. Place marshmallow creme in a medium mixing bowl and microwave for 15 seconds to slightly soften. 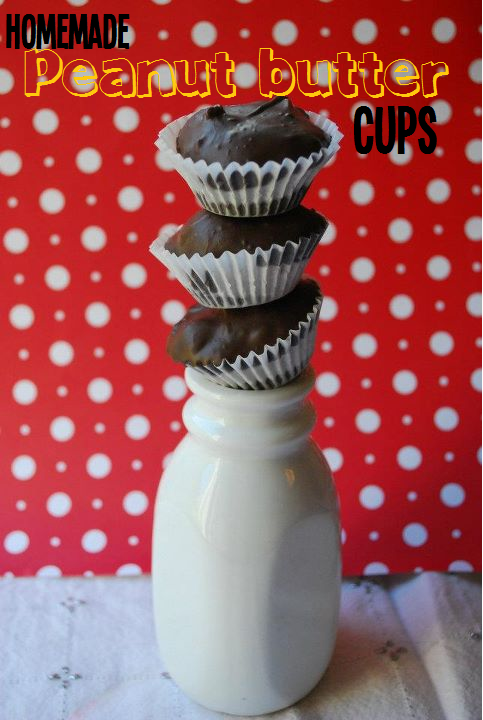 Pour the chocolate Candiquik on top of the marshmallow creme and use a spoon to stir together. Spoon mixture into prepared pan and smooth evenly across the bottom. (Mixture will be thick!). Place in the freezer for 30-45 mintues to firm up. Melt remaining package of Chocolate Candiquik. 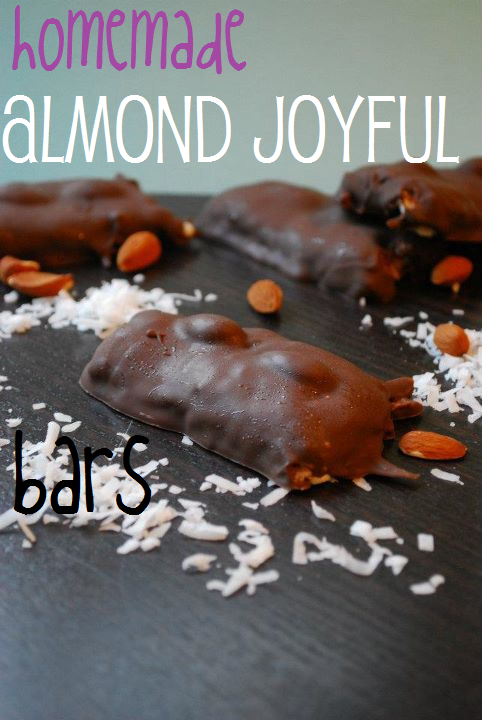 Remove from freezer and cut into 2″ bars. 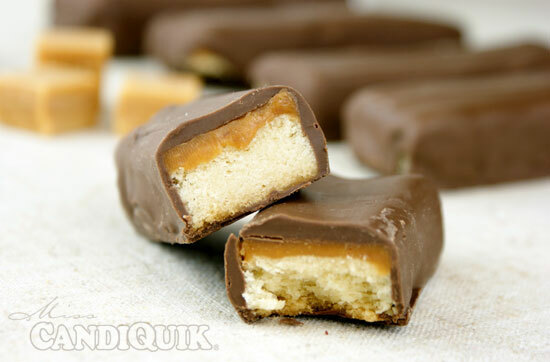 Dip each bar in the tray of CandiQuik and place on wax paper to set. *To dip the bars, I placed each bar on a fork, lowered into the Candiquik and used a spoon to completely cover the bar; let the excess coating drip off and place on wax or parchment paper to set. 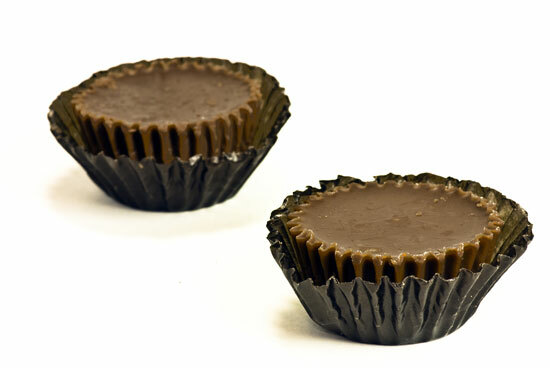 peanut butter + chocolate, ’nuff said. my personal favorite, well besides the snickers…oh and the twix, and the…forget it. 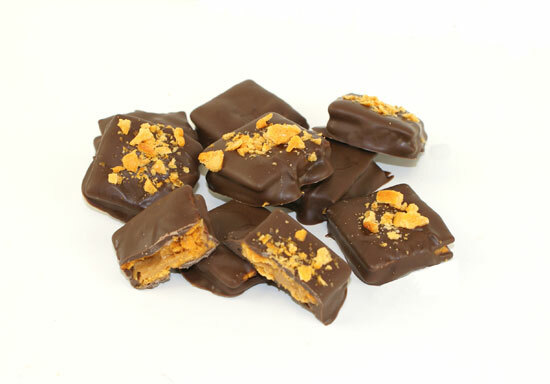 a flaky orange center, a taste of peanut butter - oh, and chocolate of course. 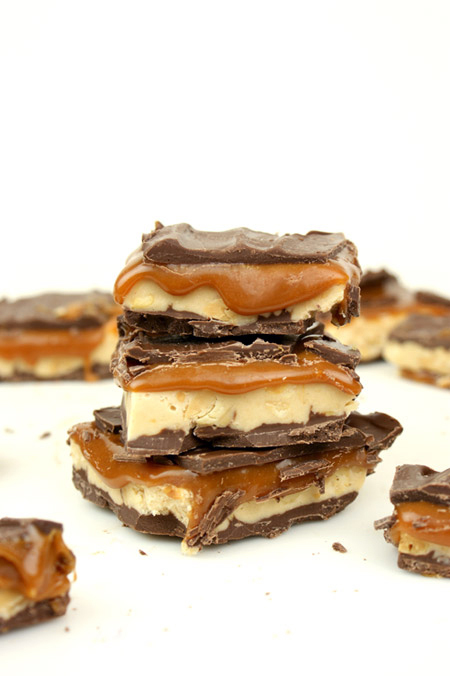 Biscuit cookie topped with caramel and finished with a dip in chocolate - swoon. Layer upon layer of goodness, one of my faves. 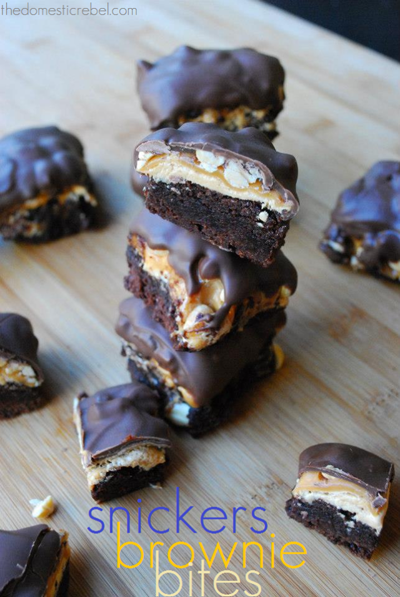 And a spinoff…Snickers Brownie Bites! 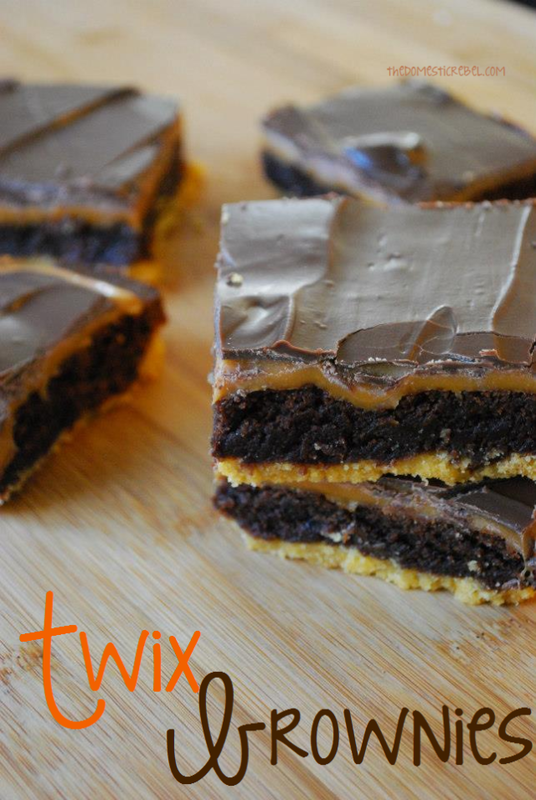 Here are some other totally awesome, not-to-be-missed candy bar-themed desserts! Thanks! I love the post – awesome ideas if I must say so myself ;). & Yes, YOU have to make them!! 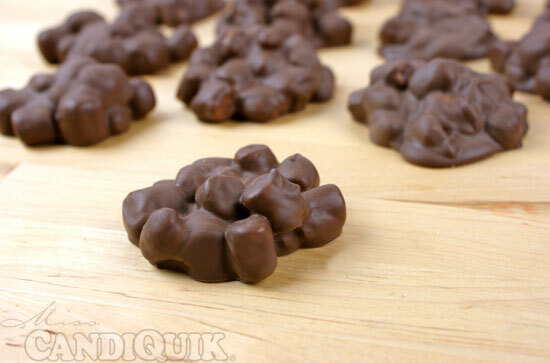 Like I said, I’m not even a “nut roll” kinda girl, but I loved these and so did everyone that tried them. I’m totally drooling over all of these recipes–and that Payday? OMG–one of my very faves. And I can make it myself? Yay! I am drooling over here! Both of your treats look WAY better than the store bought variety! All of your goodies always look so gorgeous and professional. So inspirational! Aww, thank you so much! Homemade is always better in my opinion Thanks for stopping by! WOW! What wonderful recipes. Thank you. What fun we will have this Christmas recreating these recipes and sharing with friends and family. Thanks again. oh my goodness, these all look sooo good. is it wrong that i now want candy for breakfast? 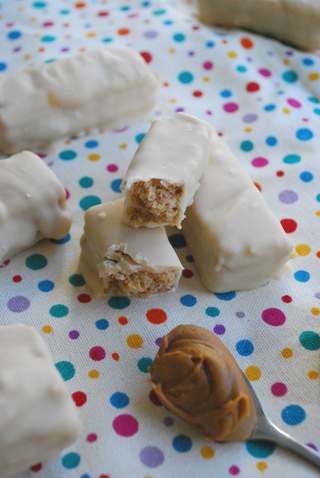 i’m definitely going to be trying the homemade 3 musketeers – YUM! Hi Amy! Not wrong at all Thanks for stopping by! I love how you and Hayley have joined up. Some spectacular treats here from the both of you. I wish we got all the fantastic candy goodies you guys get over in the US. No candyquick, butterfingers, biscoff, almond joys.. le sigh. But we do get KitKats, M&Ms, Twix and some others. At least with these copycat recipes, I get to try out a homemade version and at least try. I’d love to try the Candyquick too, sounds fantastic. These look delicious. Thanks for sharing on Foodie Friends Friday. Please come back Sunday to vote. 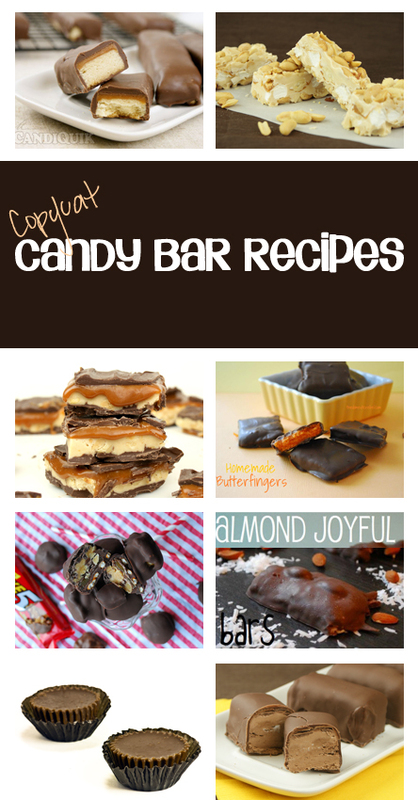 Loving all of these homemade candy bars! Inspired! love the recipes- anxiously awaiting more! These are fabulous! Saw it on Pinterest and shared on my FB page today! Hi Marty! Thank you, appreciate the share! I really wanted to find a blog that makes chocolate bars, here it is, could you please send me your newsletters. Hi Donna, thank you for the comment! You can subscribe to Club CandiQuik (www.candiquik.com/club) to receive monthly email newsletters and you can also subscribe to my blog posts here: http://feeds.feedburner.com/MissCandiquik. If I do not get off this site I will weigh more from just drooling over these treates.